I just returned from a trip to Janakpur. Back in Kathmandu it’s dusty. In Janakpur its dustier. 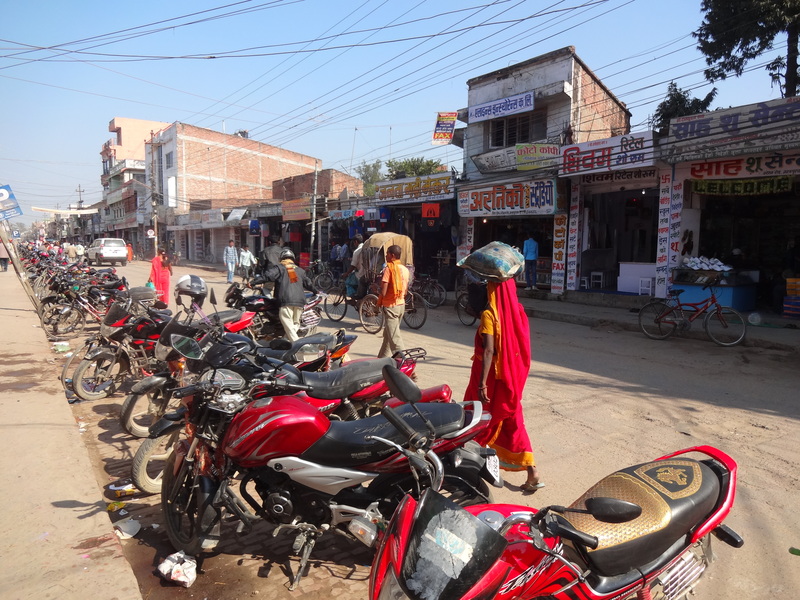 Kathmandu is pretty dirty….Janakpur is dirtier. Back here in Kathmandu things are looking more organized…I’m sure you can guess why. But it was a good trip. And Janakpur is interesting place to see, despite its difficulties. Its is in the Terai, the southern part of Nepal, close to the Indian border. The Terai is flat and fertile — the bread (or rice) basket of Nepal — less populated, less developed and much more Indian in style and flavour. Rickshaws are very common. There are more bicycles than motorcycles, but not so many that you can’t walk in the street without fearing for your life. Cars are few. It took a while to get used to the flow of street life. People, bikes, and rickshaws traveled slowly, weaving together in continuous intervening streams. 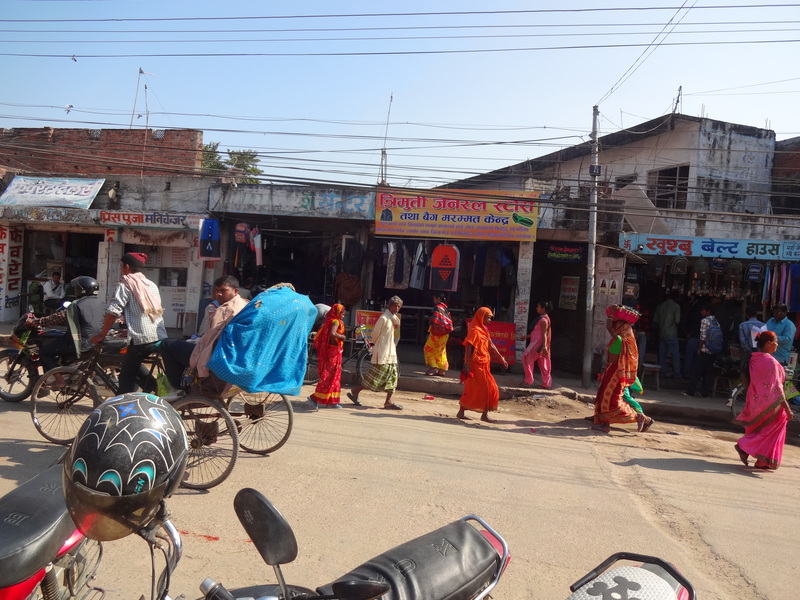 Janakpur had the feel of a . dusty border town from the wild, wild west – minus the horses and guns. But what it lacked in horses it made up for in chickens, cows and black boar. Yes, Pumba roamed the streets here. Dozens of them. And I was drawn to them with fascination — as I am now over the street cows (which are so yesterday darling) — and loved watching the squealing black piglets running down the side streets. Often the street cows and pigs grazed the garbage in peace, side by side. Foraging piggies….in the mist. My best shot ;o( Never work with children or animals! We took a couple of early morning walks through the city. Even at 6.30am in the early morning mist, there were already throngs of people walking to work or school. We headed into the unknown through the fog, past storefronts just opening or shopkeepers still curdled up under bedding. By the end of my stay I was ready to leave the dust and dirt. But I took home some good memories of the people, countryside, and the famous Janaki temple – which I will leave to another post. 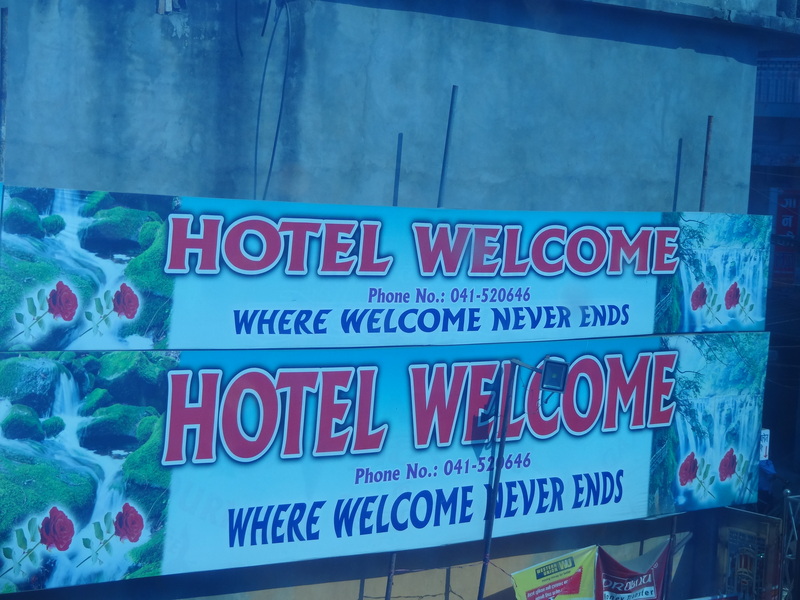 The Embassy did a two week road trip and unfortunately I was only there for the last part, in Janakpur. I say “unfortunately” because I missed some of the other Eastern cities, but I liked a lot about Janakpur too. I hope to see some other places in the future. I look those two up. Thanks!